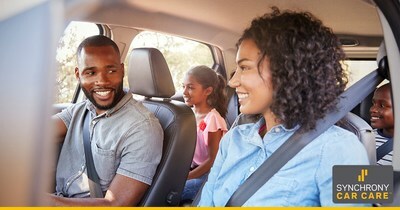 STAMFORD, Conn., March 18, 2019 /PRNewswire/ -- Synchrony (NYSE: SYF), a premier consumer financial services company, today announced that Synchrony Car CareTM has increased its acceptance network of merchants more than tenfold to include more auto-related categories and locations. Cardholders will now have the ability to use this all-in-one solution at more than 500,000 locations across 25 categories including gas, auto parts and service, car washes, parking, ride sharing and more. 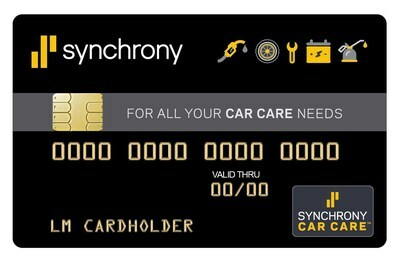 Introduced in 2017, Synchrony Car Care is a no annual-fee credit card that meets the needs of drivers by offering a dedicated payment solution for both planned and unexpected car expenses. In addition to greater acceptance, the card now offers six-months promotional financing on purchases of $199 or more* at more than 500,000 automotive service and parts locations across the country. "Synchrony Car Care continues to be a financial resource for consumers who want to manage their family's auto spending needs with one convenient payment method. With this expansion in acceptance and financing opportunities, our cardholders have security in knowing the card is there for them when they need it," said Neeraj Mehta, chief executive officer, Payment Solutions, Synchrony. "The new enhancements are part of our ongoing commitment to help our cardholders reach every destination." Synchrony is partnering with Discover® Global Network®, the fastest growing global payments network , to provide greater acceptance within the automotive category. For cardholders, this means increased nationwide acceptance in more locations outside Synchrony Car Care's traditional parts and service categories. Synchrony is constantly innovating to enhance digital customer experiences. Synchrony Car Care delivers with a dedicated mobile app, available for free for iOS devices and Android devices. Cardholders can easily find nearby locations that accept the card here. *Gas station purchases not eligible for promotional financing.